A three-part documentary based on unseen footage from Charlie Chaplin. Chaplin ordered all of his outtakes burned but some did survive. This gives us a glimpse of how he constructed a story. He relied on inspiration and rarely had anything planned out in advance and that lead to classic scenes. He would rearrange sets and actors and if a good mistake happened he would act on it and stretch it out. This was a good way to waste thousands of dollars worth of film but it also made him a comedy genius. Chaplin said he would build sets without an idea in his head but would be inspired. Below is an outtake he never used in his feature “City Lights” which It would have been interesting if he would have kept it in. He takes the simplest prop…a piece of wood and works a scene around it in a grate. The documentary was in three parts. The Great Director – Actresses and Actors talk about working on Chaplin’s films. Hidden Treasures – A look at a variety of informal, private or salvaged pieces of film by or relating to Chaplin, including home movie footage, visitors to his studios, and several sequences that were edited out of his final films. 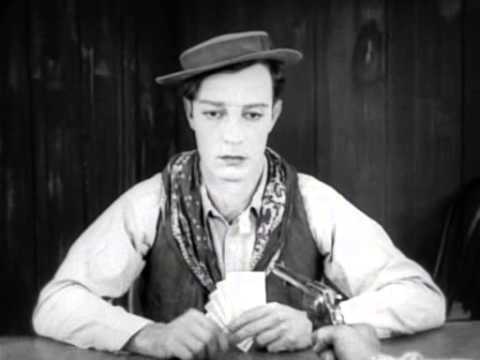 Like the Buster Keaton biography A Hard Act To Follow this was produced by Kevin Brownlow and David Gill. It’s worth chasing these down or click on this link in youtube. This 1921 movie by Charlie Chaplin teamed him up with young Jackie Coogan. You may remember the adult Coogan as Uncle Fester on the Addams Family. It’s a great film with some classic scenes between Chaplin and Coogan. This was Chaplin’s first feature film. He was finishing up his First National contract as he co-founded United Artists with Mary Pickford, Douglas Fairbanks, and D.W. Griffith. The story starts off with a woman (Edna Purviance) that abandons her baby in the back of an expensive car hoping that the owners will give her baby a life that she can not. The car is then stolen and the baby is left on the street. The Tramp (Chaplin) finds the baby and takes it home and raises him. Five years pass and he loves the kid and together they have a great scheme going on. The kid goes around throwing rocks through windows and out of nowhere later on comes The Tramp who would just so happen to have glass and materials with him to fix the window for a price. The authorities soon find out that the Tramp is not the kid’s father. While this is going on the mother who is doing really well now is looking for her child. The Tramp and Kid are pursued and in this film, Chaplin had some serious and tender moments combining comedy with pathos which at the time was a turning point. The movie was considered a masterpiece when it was released. 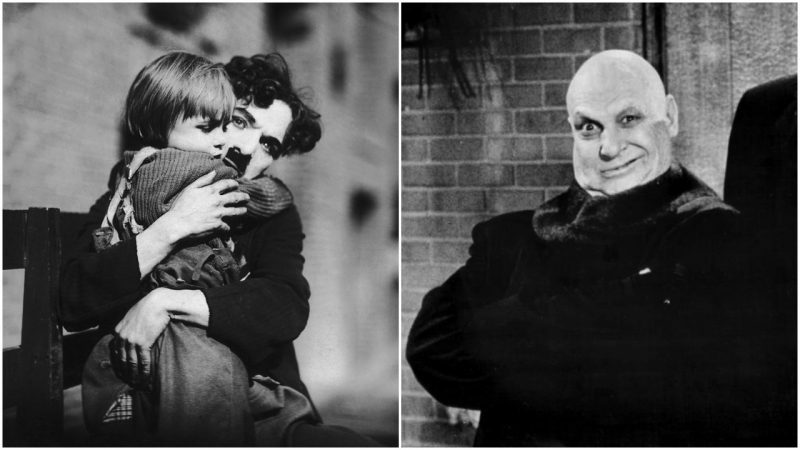 One scene that jumps out is the scene where social services are physically taking the child away and Chaplin fights…not comically but really fights to keep the Kid. The film was written, directed, produced and starred… Charlie Chaplin. Edna Purviance makes her last appearance acting with Chaplin. She would be directed by him one more time in a drama as a leading lady. This movie kicked off Coogan’s very successful child acting career. Jackie Coogan would become a star in the twenties. He earned 3-4 million dollars acting and when he turned 21 in 1935 he thought he was set for life only to find out the money was gone. His mother and step-father spent all of his money on furs, jewelry, and cars. His mom said that Jackie enjoyed himself acting and no promises were ever made to give him any of the money. Jackie sued his mom in 1938 and only received 125,000 dollars of his money. Coogan had financial problems for a long while and even went to Chaplin for help which Chaplin gladly gave him money. One good thing came out of it. The “Coogan Act” which made parents set aside at least 15 percent of their child’s earnings to a trust fund. If you get a chance this is a great short entertaining movie. This is a three-part documentary made in 1987. It is one of the best documentaries I have ever seen…not just about Buster but anyone. Each part is almost an hour long. Kevin Brownlow and David Gill wrote and directed this mini-series. This documentary is interesting for fans and non-fans alike. I have watched it multiple times and showed it to friends to didn’t have much interest in silent movies and they ended up liking it. Brownlow also worked on “Hollywood” (a 13 part history of the silent era that later I’ll review), The Unknown Chaplin, and Harold Lloyd: The Third Genius. Buster Keaton was not only a great comedian but a great filmmaker. Some of his special effects in Sherlock Jr and other movies stand up today. I always thought that while Chaplin had the best comedy character…Keaton was the better filmmaker. 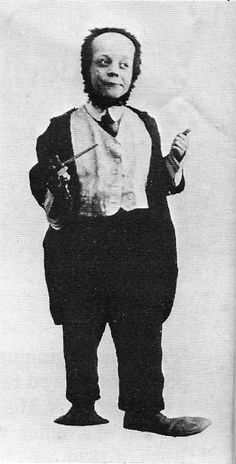 Covers his vaudeville childhood with his parents. Because of child labor laws, his parents would claim that Buster was an adult actor. They would dress Buster to look old. This part goes through Vaudeville and up until Buster meets Roscoe Arbuckle and starts his career in movies. Part Two sums up his great silent movies. He did not work in the studio system…Buster had free reign with his movies in most of the 1920s working for Independent film executive Joe Schenck. Part two shows some of the best scenes from his silent movies until he had to join a studio (MGM) that along with his drinking helped ruin his career. This part is the downfall and the comeback. Buster worked through the early thirties in some successful talkies but soon by the end of the 30s he was working as a gag writer. He was soon largely forgotten until he appeared in “Sunset Boulevard”, commercials and TV. Buster was in a movie with Chaplin called Limelight in 1952. He began to be praised by historians, critics, and fans alike before he passed away in 1966. There is a new Buster documentary out called ‘The Great Buster: A Celebration’ by Peter Bogdanovich that I have yet to see. I plan to track it down soon. Either way, this one will be hard to beat. 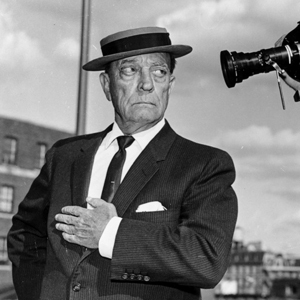 Below is Buster Keaton: A Hard Act to Follow…the complete series. I got this book in the 90s and just reread it yet again. I’ve gone over Clara Bow earlier but I wanted to add more about this book. It is a well researched interesting book on the great silent movie actress. I have huge respect for Clara Bow as an actress and as a person. She was outspoken in a business where very few women were at that time. David Stenn separates fact from fiction about Clara. In the book, Hollywood Babylon Kenneth Anger makes many unflattering statements about Clara which Stenn proves were false. Was Clara wild at times? Yes but no wilder than many of the other actresses in the 20s and nothing compared to today…She was just honest about it. Her mother suffered from mental illness, Clara once woke with her mother standing over her with a knife saying she was going to kill her. Her father abused her and used her all of his life and may have sexually abused her. She made it against all odds to the top. There was a point in the twenties that she was the biggest female star receiving 45,000 fan letters a month. Paramount would use her to push lightweight films and hardly ever place her in a great film. Because of this practice, she is only known well for a few films. When silent movies evolved into “talkies” Greta Garbo was given two years to prepare for the change…Clara, who was a bigger star was given a matter of weeks. She would appear on the screen and your eyes would stay with her. She did a few sound pictures and was successful but did not enjoy it as much as the silent films. She retired and married Rex Bell (a part time cowboy actor) and moved to Nevada in the 1930s to have and raise a couple of children. One of her children, Rex Bell Jr. had this to say about the book. “A lot of crap biographies have been written about mom, but the one that is accurate is ‘Clara Bow, Runnin’ Wild’ by David Stenn,” Bell said, noting that he first learned his mother was abused as a child from that book that was supported by medical records. Clara was in the first movie that won an Oscar… Wings … The other movie she is known for is It made in 1927. She was soon known as The IT Girl. I recommend this book highly. Clara Bow had a hard life growing up in Brooklyn and against all odds turned into one of the biggest stars of the 20s. She was honest to a fault and herself to the end. Where Clara, Rex, and their children lived…The Walking Box Ranch.